Our Dumb Animals also routinely published a selection of the winning entires of the poster competition each year, giving further exposure not only to the artists who had their work selected for inclusion, but also to the messages of kindness and compassion to all species. 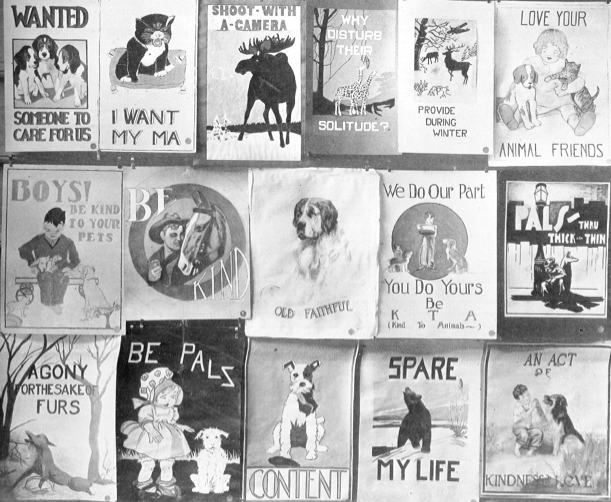 Below is a selection of winning posters from the MSPCA and AHES poster contest from the 1930s. 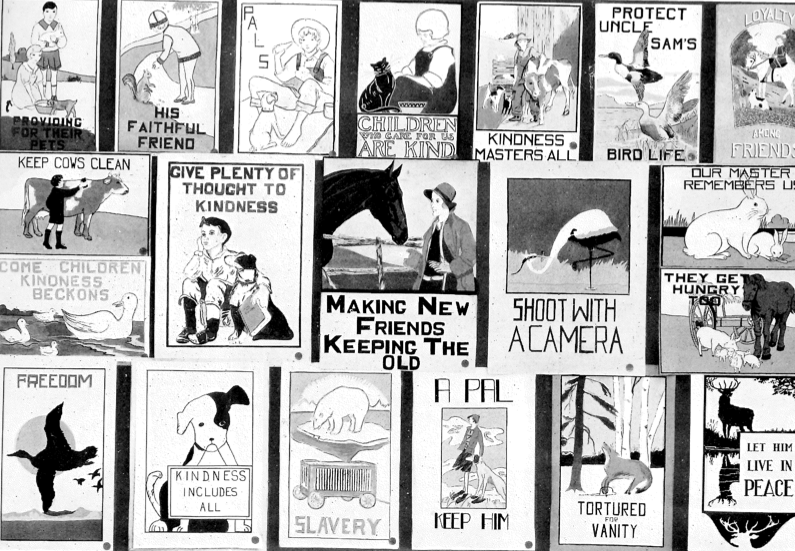 Selection of entries in the 1932 American Humane Education Society poster competition reproduced in Our Dumb Animals. Collection of MSPCA Angell. 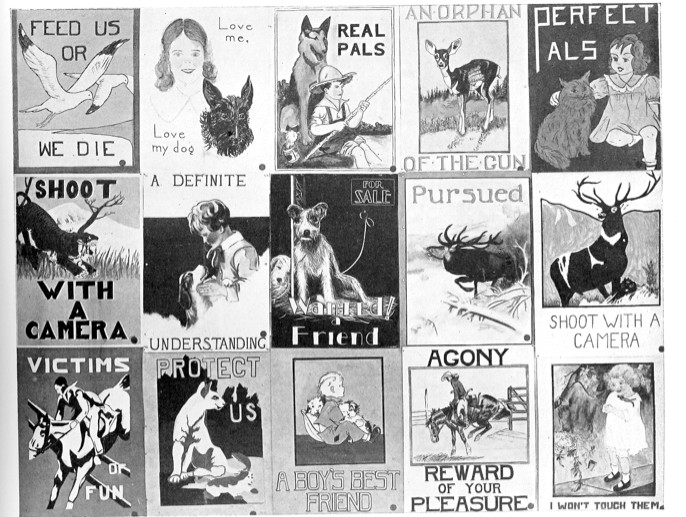 Selection of entries in the 1934 American Humane Education Society poster competition reproduced in Our Dumb Animals. Collection of MSPCA Angell. Selection of entries in the 1935 American Humane Education Society poster competition reproduced in Our Dumb Animals. Collection of MSPCA Angell. 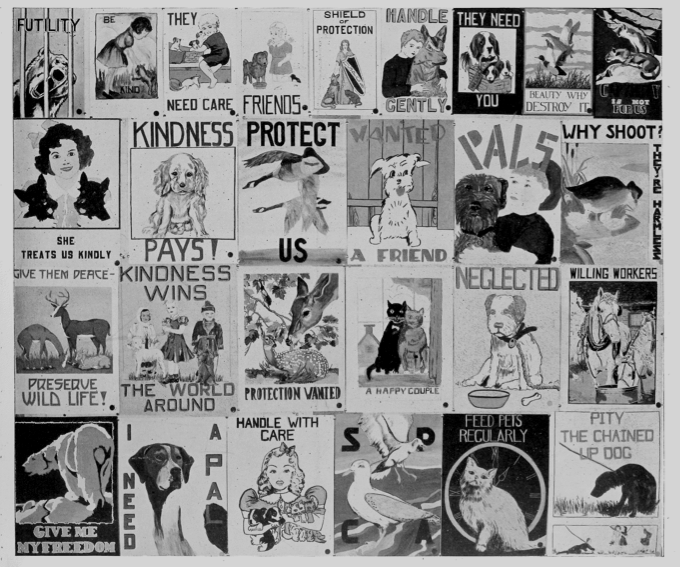 Selection of entries in the 1938 American Humane Education Society poster competition reproduced in Our Dumb Animals. Collection of MSPCA Angell.